NOW THAT A GAY CAME OUT OF THE CLOSET IN A PROFESSIONAL LEAGUE TEAM.ALL HELL WILL BREAK LOOSE NOW AS THE GAYS WILL BE COMING OUT IN ALL THE SPORTS NOW.GOD FORGIVE US FOR OUR IMMORALITY PLEASE.GOD-PLEASE DON'T LET THIS HOMOSEXUAL OUTING GO ANY FURTHER.OUR SOCIETY IS GETTING TO LUKEWARMED TO IT NOW.AND THE MORE THAT COME OUT.THE MORE THE CHURCH WILL BE POLLUTED INTO ALLOWING IT AS NORMAL.AND THE CHURCH CAN NOT DO THAT.WE HAVE TO STICK UP FOR YOU AND YOUR WORD GOD (KING JESUS).NOT BLEND INTO THE POLITICALLY CORRECT LUKEWARM WORLD.AND WE KNOW YOUR WORD IS SET AGAINST HOMOSEXUALITY.AND WE KNOW GOD YOU DO NOT CREATE ANY ONE HOMOSEXUAL.THAT PERSON CHOOSES TO BE GAY.GOD IS NO HYPOCRIT-HE WOULD NOT CREATE A CREATED PERSON TO BE HOMOSEXUAL-WHEN HIS WORD IS DEAD SET AGAINST BEING GAY.GOD CAN NOT LIE.GOD WILL NOT BE MOCKED. AND THE SAME IS FOR ABORTION ALSO.GOD DOES NOT WANT ANY UNBORN PERSON HE CREATED TO BE MURDERED UNDER THE GUISE OF ABORTION OR A WOMANS RIGHT.WE BETTER REPENT BIGTIME AND GET BACK TO OBEYING GODS 10 COMMANDMENTS-QUICK.OR THE JUDGEMENTS ON OUR WORLD COUNTRIES WILL JUST BE INCREASING. 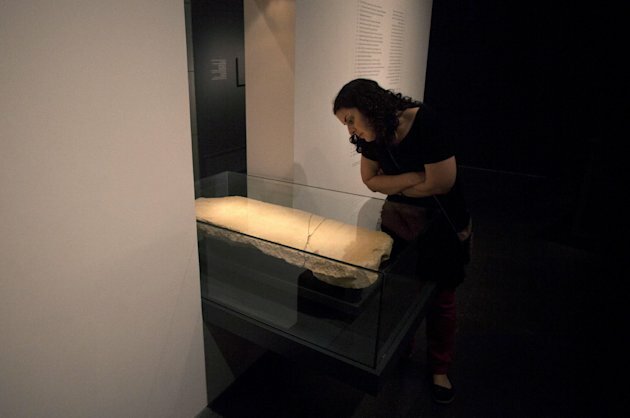 JERUSALEM (AP) — An ancient stone with mysterious Hebrew writing and featuring the archangel Gabriel is going on display in Jerusalem as scholars debate the inscription's meaning.The so-called Gabriel Stone, said to have been found 13 years ago in Jordan, features an unknown prophetic text from the time of the Second Jewish Temple.The tablet made a splash in 2008 when an Israeli scholar theorized the inscription would revolutionize the understanding of early Christianity, claiming it referenced a messianic resurrection pre-dating Jesus.Curators at the Israel Museum said on Tuesday that it's the most important inscription found in the area since the discovery of the Dead Sea Scrolls.The Israel Museum exhibit, opening Wednesday, also features ancient New Testament and Quran texts referencing the archangel Gabriel. Pope Francis calls for Israel and PA to "resume negotiations" and "take courageous decisions". Pope Francis called on Tuesday for Israel and the Palestinian Authority to "resume negotiations" and "take courageous decisions", the Vatican said in a statement, after a meeting between the pontiff and Israeli president Shimon Peres. "A speedy resumption of negotiations between Israelis and Palestinians is hoped for," it said, according to the AFP news agency. "With the courageous decisions and availability of both sides, as well as support from the international community, an agreement may be reached," it added.Such an agreement should "respect the legitimate aspirations of the two peoples, thus decisively contributing to the peace and stability of the region. "Peres and Francis expressed "worry for the conflict that plagues Syria" and hoped for a political solution to the crisis, the Vatican said.Peres also invited Pope Francis on an official state visit to Israel. ANDREA TORNIELLI vatican city A cordial meeting between Israeli president Shimon Peres and Pope Francis was held this morning, in the Vatican. During the audience, which lasted 30 minutes, the president invited Francis to Jerusalem. 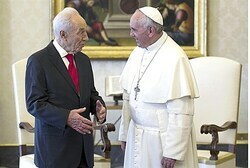 “It’s not just me who would like to see you there, the whole of Israel would.” When the two shook hands at the beginning of the audience, Peres asked Bergoglio to pray “for all of us.” Before parting, the president assured the Pope he would pray for him: “When I go to Assisi tomorrow, I will pray for you.” After the audience, Peres met the Vatican Secretary of State, Tarcisio Bertone and the “minister of foreign affairs” Dominique Mamberti.A statement issued by the Holy See informs that “during the cordial talks, the political and social situation in the Middle East—where more than a few conflicts persist—was addressed. A speedy resumption of negotiations between Israelis and Palestinians is hoped for, so that, with the courageous decisions and availability of both sides as well as support from the international community, an agreement may be reached that respects the legitimate aspirations of the two Peoples, thus decisively contributing to the peace and stability of the region.” “Reference to the important issue of the City of Jerusalem was not overlooked.”The statement went on to say that “particular worry for the conflict that plagues Syria was expressed, for which a political solution is hoped for that privileges the logic of reconciliation and dialogue. A number of issues concerning relations between the State of Israel and the Holy See and between state authorities and the local Catholic communities were also addressed. In conclusion, the significant progress made by the Bilateral Working Commission, which is preparing anagreement regarding issues of common interest, was appreciated and its rapid conclusion is foreseen.”Francis and Peres also discussed the work being carried out by the commission that was set up to try and reach an agreement on the long-standing question of the Cenacle. The process has been a long and confused one and always seems on the verge of being concluded, but as yet has not. During today’s audience, the President assured Francis that Israel was eager to reach an agreement on the Cenacle, which once belonged to the Franciscan Custody of the Holy Land. Israel could allow Christians to celebrate mass again in the place where according to the Christian tradition Jesus celebrated the Last Supper.Over the past few years, the Vatican and Israeli delegations have been working on a solution that involves ownership of the Cenacle, the two small rooms adjacent to it and the staircase providing access to it, be transferred to the Custody of the Holy Land. The Israeli state would maintain ownership of the convent that was built by the Franciscans (trying to ensure spaces are not given to new tenants other than the already existing ones) and the area surrounding the Tomb of David, beneath the Cenacle. This, however, may not be the final solution the Vatican has been hoping for. Peres’ words on the Cenacle and the possibility of allowing Christians celebrate mass there, seem to indicate this. Israel would grant the Pope special authority over the Cenacle, indicating that the ownership of one of the most important holy sites in Christianity will not be returned to the Christians.The Pope presented Peres with some medals and the Israeli president gave Franciscan copy of the Bible of Jerusalem, translated into Hebrew and English by the Dominican Ecole Biblique de Jerusalem. Peres included a handwritten note in the Bible, which read: “I hope you will prosper in everything that you do and wherever you go. 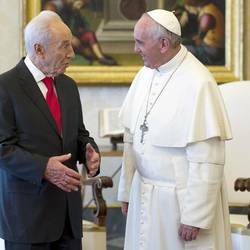 With high esteem, Shimon Peres.” Vatican spokesman, Fr. Federico Lombardi, said Pope Francis welcomed Peres’ invitation with great joy because Popes are always glad to visit the Holy Land. However, he also added that it is known yet known when he might visit. Bergoglio has already been invited to Jerusalem by Latin Patriarch, Fouad Twal and the Ecumenical Patriarch of Constantinople, Bartolomew I, suggested a repeat of the historic embrace between Paul VI and Patriarch Athenagoras in Jerusalem in January 1964. JERUSALEM (AP) — Israel's chief peace negotiator is welcoming the Arab League's decision to sweeten a decade-old initiative offering comprehensive peace with Israel.The Arab League's original 2002 peace initiative offered regionwide peace with Israel in exchange for a withdrawal from all territories captured in the 1967 Mideast War to make way for an independent Palestinian state.Under Monday's decision, announced in Washington at talks with U.S. Secretary of State John Kerry, the Arabs said they would accept small modifications to the 1967 lines, as long as they are agreed upon in talks with the Palestinians.Israeli Prime Minister Benjamin Netanyahu, who opposes a pullback to the 1967 lines, had no immediate comment. But his chief negotiator, Justice Minister Tzipi Livni, on Tuesday called the Arab gesture "good news that should be welcomed." THE BIBLE SAYS THE EU WILL GUARENTEE THE 7 YR PEACE TREATY BY THE ISRAELI/ARAB/MUSLIMS.WELL THIS COULD BE THE LINK THAT LEADS TO THE 7 YR GUARENTEE OF THE FUTURE PEACE TREATY OR 7 YR TRIBULATION PERIOD DEAL. A note published on the EU's Tenders Electronic Daily website on Saturday (27 April) says PPS will be paid €13.4 million plus VAT to do the work over the next four years.The fee is almost double what was foreseen in the original tender, published last July, which said the contract would be worth between €6 million and €8 million.The EU has 16 diplomatic staff and another 50 or so officials stationed in Jerusalem.Their activities in the West Bank are considered to be fairly low risk.But their occasional trips to Gaza, which hosts radical Islamist groups and which is prone to sudden eruptions of fighting with Israel, are more dangerous.One EU diplomat recalled that his first-ever visit to the Gaza strip coincided with an Israeli air strike. "Within hours of arriving, I found myself in a car holding a wounded man with blood everywhere. I had to ask myself the question there and then: am I really cut out for this?" he told this website.Just two other security companies put in bids for the Gaza/West bank tender.The European External Action Service (EEAS) said on Monday it was not ready to give an immediate comment on the PPS award.But its decision caused surprise in the private security sector, given PPS' poor track record on EU contracts in Afghanistan and in Gaza/West Bank itself.PPS has been guarding EU diplomats in Afghanistan since 2008 and did Gaza/West Bank between 2005 and 2010.In Afghanistan, it failed to supply the right body armour and rifles to its guards for more than one year after the contract began.It also failed to supply proof of work done for around €1 million worth of invoices and paid a €300,000 penalty in lieu of the full amount.It was awarded a new contract for Afghanistan earlier this year, but then the EEAS changed its mind, saying PPS was non-compliant with the "necessary conditions. "In its past work in Gaza/West Bank, EU diplomats said its drivers did not know their way around Gaza and that they abused local Palestinian staff.They also questioned its attempts to avoid paying social security contributions to Israel on the grounds that its Palestinian guards did not recognise Israeli sovereignty.The then EU envoy to Jerusalem, Christian Berger, wrote in an internal letter in 2009 that he was "very concerned about their [PPS] actual performance" and that the firm's behaviour "has led to reputational damage for the commission," referring to the European Commission, which managed foreign delegations before the EEAS was created.Berger repeated his criticism in 2010.The EU's anti-fraud office, Olaf, in January this year also drafted a critical report on PPS' work in Afghanistan. The text is confidential, but the EEAS says Olaf found no evidence of fraud per se.A second Olaf investigation into PPS past work in Gaza/West Bank is currently ongoing.For his part, PPS chief Stuart Page told EUobserver by email on Tuesday that his firm is still in the running for the new Kabul tender. "The EEAS has chosen to halt the procurement process for the award of a new contract in Afghanistan strictly in accordance with its procurement procedures. Those companies (including this company) which prequalified in June 2012 have been invited to participate in a negotiated procedure for the award of a new contract," he said.He described PPS' relationship with the EU institutions over the past few years as "entirely professional and fair." Prices of food, alcohol and tobacco in eurozone countries are now climbing by 2.9% compared to 2.7% in March, according to European Commission statistics out on Tuesday. Overall inflation is down to 1.2% from 1.7%. The cost of energy is going down by 0.4% each year. BEIRUT (Reuters) - A bomb killed 13 people in central Damascus on Tuesday, state television said, a day after Prime Minister Wael al-Halki survived an attack on his convoy in the Syrian capital.State-run Suriya television said 70 people were wounded, several critically.The British-based Syrian Observatory reported nine dead civilians and three security personnel but said the toll was likely to rise.Pro-government Al-Ikhbariya television showed firefighters running through thick smoke after the blast in Marjeh Square. Two bodies could be seen on the ground.The target of the attack was not immediately clear. Footage showed the former Interior Ministry building near the site of the blast on one of the capital's main roads. GENEVA (Reuters) - The United States said on Tuesday it regretted Egypt's decision to walk out of U.N. talks on non-proliferation and still hoped all sides would agree to hold a conference on banning nuclear weapons in the Middle East.Egypt withdrew from nuclear Non-Proliferation Treaty (NPT) talks in Geneva on Monday in protest at what it called the failure to implement a 1995 resolution for a Middle East free of nuclear weapons - an implicit criticism of Israel, believed to be the only nuclear-armed country in the region. "We regret the Egyptian decision to leave the NPT Preparatory Committee meeting. It does not affect the U.S. commitment to convening a conference on a Middle East zone free of weapons of mass destruction," Thomas Countryman, U.S. Assistant Secretary for International Security and Non-Proliferation, who heads the U.S. delegation, told Reuters. "We will continue to seek practical means to bring the parties together. We remain prepared to assist in any way requested, but leadership must also come from states of the region," Countryman said in comments sent by email.The conference, which was supposed to be held last December in Helsinki after being agreed at NPT talks in 2010, was postponed a month before without a new date being set.Western countries have voiced hope during the two-week session that the delayed conference could be convened this year.Iran and Syria called last week for a conference on banning nuclear weapons and urged major powers to stop helping Israel acquire nuclear technology.Egypt said it pulled out of the talks "to send a strong message of non-acceptance of the continued lack of seriousness in dealing with the establishment of a nuclear-free zone in the Middle East".Israel has not ratified the 1970 NPT and therefore is not attending the Geneva session which ends on Friday.U.S. and Israeli officials have said a nuclear arms-free zone in the Middle East could not be a reality until there was broad Arab-Israeli peace and Iran curbed its nuclear program, which Tehran denies has a weapons dimension. GAZA CITY, Gaza Strip (AP) — An Israeli aircraft attacked a motorcycle in Gaza on Tuesday, killing a man who the military said was a top militant in a shadowy al-Qaida-influenced group who had been involved in a recent rocket attack on southern Israel.It was the first deadly airstrike in Gaza since a truce was reached with Palestinian militants last November, and is the most serious test yet of the Egyptian-brokered agreement. The strike came alongside the fatal stabbing of an Israeli settler in the West Bank, the first killing by a Palestinian of an Israeli in the territory in over a year.The aircraft hit the motorcycle as it was traveling northwest of Gaza City, killing the driver and wounding a passenger. A bystander was also wounded, according to Gaza medical officials.The Israeli military said it had successfully killed Haitham Mishal, describing him as a jihadi militant involved in an April 17 rocket attack on the southern Israeli resort town of Eilat and other violence. Ashraf al-Kidra, Gaza's Health Ministry spokesman, said Mishal was a policeman. Israeli Prime Minister Benjamin Netanyahu had warned in recent days that Israel would not tolerate rocket fire from either the Gaza Strip or Egypt's Sinai Desert. "We hit today one of those involved in the despicable rocket fire on Eilat. 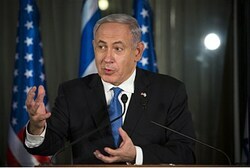 I said that we would not be quiet over that," Netanyahu said Tuesday. "We do not accept sporadic rocket fire from Gaza or Sinai. We will act to protect the citizens of Israel, and we are acting." Tuesday's airstrike may strain a five-month-old cease fire brokered by Egypt last November that ended eight days of heavy fighting between Israel and Hamas. Under the deal, Gaza militants pledged to halt rocket attacks on Israel, while Israel said it would end its policy of assassinating wanted militants.But after months of calm, the truce has begun to unravel. Palestinian militants have sporadically fired rockets into open areas of southern Israel in recent weeks. The Israeli air force has responded with strikes on training sites and suspected weapons storage sites in Gaza. Until Tuesday, there had been no casualties.In a statement, the Israeli military said Mishal had been involved in the Mujahideen Shura Council in the Environs of Jerusalem, a murky al-Qaida-inspired group that has claimed responsibility for a number of rocket attacks, including the Eilat incident.Israel viewed the rocket attack on Eilat, a normally tranquil oasis that borders the Red Sea and Egypt's Sinai desert, as an escalation. It accused Gaza militants of firing the rockets, which caused no injuries, out of Egypt's lawless Sinai desert.It said Mishal "has been a key terror figure, specializing in weapons and working with all of the terror organizations in the Gaza Strip." It said he manufactured weapons and specialized in rockets and explosive devices that he sold to militant groups.Hamas, the Islamic militant group that rules Gaza, condemned the Israeli attack but also signaled that it is eager to preserve the truce. "We call on Egypt to put pressure on the Israeli occupation to stop these crimes and to force them to honor the truce and stop the aggression," said Hamas spokesman Fawzi Barhoum. He called for a "joint and unified" effort by Gaza's various militant factions.Hamas considers the jihadi groups responsible for recent rocket fire to be rivals, and has struggled to keep them in check. Since the cease-fire was reached, Hamas has deployed security forces along the border areas with Israel and Egypt to help preserve the calm.In the West Bank, meanwhile, a Palestinian man fatally stabbed an Israeli waiting at a bus stop and fired on police before he was detained by Israeli security forces, officials said.The victim was identified as a 32-year-old man from a nearby West Bank settlement. The attack took place at an intersection in the northern West Bank, near the Palestinian city of Nablus.Israeli police spokesman Micky Rosenfeld said the assailant stabbed the Israeli and took his gun, then opened fire at border police nearby. 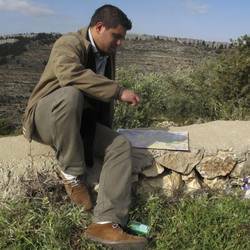 The officers returned fire, wounding the Palestinian who was then detained. The Israeli man died of his wounds at the scene, Rosenfeld said.Netanyahu latter expressed sorrow over the stabbing. "The terrorist who committed this murder was captured and we will continue to operate on that front to protect our citizens," he said.A militant group claiming affiliation with the Al Aqsa Martyrs' Brigades, a violent offshoot of Palestinian President Mahmoud Abbas' Fatah, movement took responsibility for the stabbing attack in notices posted on the Internet.The group said it had "received a green light to begin a series of operations against the (Israeli) occupiers" in response to the deaths of two Palestinians in Israeli jail earlier this year. Abbas, an outspoken critic of violence, did not immediately comment.The stabbing was the first fatal attack on Israelis in the West Bank since September 2011. But Capt. Barak Raz, a military spokesman, said the area has experienced a rise in rock throwing and firebombing in recent months. A baby Israeli girl was seriously injured earlier this year when Palestinians threw rocks at the car she was traveling in. Palestinians charge that some settlers, particularly in smaller remote hilltop communities, are behind a series of attacks against Palestinians and their property.The Palestinians claim the West Bank, Gaza Strip and east Jerusalem, areas captured by Israel in the 1967 Mideast war, for a future independent state.But peace talks between Israel and Abbas have remained frozen for more than four years, while divisions between Abbas and his Hamas rivals, who seized Gaza from his forces in 2007, have further hindered peace efforts. REMEMBER THE BIBLE SAYS THE EUROPEAN UNION WORLD DICTATOR MUST BE A KING SO THIS NEW DUTCH KING IS IN THE RUNNING NOW.AS WELL AS ALL THE OTHER MONARCHS IN THE EUROPEAN UNION. AMSTERDAM (AP) — Willem-Alexander became the first Dutch king in more than a century Tuesday and pledged to use his ceremonial position as head of state to help steer his country through uncertain economic times.The generational change in the House of Orange-Nassau gave the Netherlands a moment of celebration, pageantry and brief respite as this trading nation of nearly 17 million struggles through a lengthy recession brought on by the European credit crisis.Visibly emotional, the much-loved Beatrix ended her 33-year reign as queen in a nationally televised signing ceremony as thousands of orange-clad people cheered outside. Millions more were expected to watch on television.Just over four hours later, King Willem-Alexander, wearing a fur-trimmed ceremonial mantle, swore an oath of allegiance to his country and the constitution in the historic New Church.In a speech in the church, Europe's youngest monarch underscored the ceremonial nature of his monarchy in this egalitarian society but also the symbolic and economic value a king can deliver on state visits aimed at drumming up trade. "I will proudly represent the kingdom and help discover new opportunities," he said.The investiture ceremony was the final formal act on a day of high emotion within the House of Orange-Nassau and was to be followed by an evening boat tour around the historic Amsterdam waterfront.The new king gripped his mother's hand and looked briefly into her eyes after they both signed the abdication document in the Royal Palace on downtown Amsterdam's Dam Square. Beatrix looked close to tears as she then appeared on a balcony decked out with tulips, roses and oranges, overlooking 25,000 of her subjects. "I am happy and grateful to introduce to you your new king, Willem-Alexander," she told the cheering crowd, which chanted: "Bea bedankt" ("Thanks Bea. ")Moments later, in a striking symbol of the generational shift, she left the balcony and King Willem-Alexander, his wife and three daughters — the children in matching yellow dresses and headbands — waved to the crowd. "Dear mother, today you relinquished the throne. Thirty-three moving and inspiring years. We are intensely, intensely grateful to you," the new king said.The former queen becomes Princess Beatrix and her son becomes the first Dutch king since Willem III died in 1890.The 46-year-old king's popular Argentine-born wife became Queen Maxima and their eldest of three daughters, Catharina-Amalia, became Princess of Orange and first in line to the throne.Willem-Alexander has said he wants to be a 21st century king who unites and encourages his people; not a "protocol fetishist," but a king who puts his people at ease.He will do so as unemployment is on the rise in this traditionally strong economy. European Union figures released Tuesday showed Dutch unemployment continuing to trend upward to 6.4 percent — still well below the EU average of 10.9 percent, but higher than it has been for years in the Netherlands. "I am taking the job at a time when many in the kingdom feel vulnerable and uncertain," Willem-Alexander said. "Vulnerable in their work or health. Uncertain about their income or home environment. "Amsterdam resident Inge Bosman, 38, said she doubted Willem-Alexander's investiture would give the country much of an employment boost. "Well, at least one person got a new job," she said.Els Nederstigt, 38, said she got up at 5:30 a.m. to travel to Amsterdam and sat on a camping stool close to the Royal Palace wearing an orange cowboy hat and tiara. "It's a special moment. I was a very small girl when Beatrix came to the throne so this is the first change in the monarchy I can really experience," she said. "We were here when Willem-Alexander and Maxima got married and what you remember is that you were there — you forget how early you had to get up and how tired you were." The square was overwhelmingly orange, but one blue and white Argentine flag being held up in front of the palace was emblazoned with the Dutch language text: "Netherlands thanks for loving and having faith in Maxima. "The day is expected to be a huge party culminating in a boat trip by the new king and queen around the Ij waterway, but security also was tight with thousands of police — uniformed and plain clothes — and an untold number of civil servants assisting in the logistics.Police arrested two protesters on Dam Square — one of them wearing a white shirt indicating he was a republican — shortly after the abdication for not following officers' orders to leave. Amsterdam police released both without charge shortly afterward and apologized for detaining them.At an anti-monarchist demonstration on the nearby Waterloo Square, protestors dressed in white instead of orange and carried signs mocking Willem-Alexander. "Monarchy is a sexually-transmitted disease," one sign said.Amsterdammer Jan Dikkers said he came out to show his disapproval for the inauguration of Willem-Alexander, who he said Dutch people only tolerate because "people like his wife. "He said Beatrix is overrated. "People say the queen did a 'good job', but she didn't really do any job," Dikkers said. "Maybe she seems like a nice person, so people like her, but there's a difference. "The celebrations were peaceful across the city, in stark contrast to Beatrix's investiture in 1980 when squatters protesting a chronic housing shortage fought with police, and clouds of tear gas drifted through parts of the city.The airspace above Amsterdam was closed Monday for three days. Dutch police swept Dam square for bombs, with assistance from German agents with sniffer dogs.Royal guests from 18 countries are attending, including Britain's Prince Charles and his wife, Camilla, and the Japanese Crown Prince Naruhito and Crown Princess Masako. Charles was also in attendance when Beatrix was crowned in 1980.Observers believe Beatrix remained on the throne for so long in part because she was seen as a stabilizing factor in the country that struggled to assimilate more and more immigrants, mainly Muslims from North Africa, and shifted away from its traditional reputation as one of the world's most tolerant nations. In recent years, speculation about when she might abdicate had grown, as she endured personal losses that both softened her image and increased her popularity further as the public sympathized.Her husband Prince Claus died in 2002; and last year her youngest son, Prince Friso, was hit by an avalanche while skiing in Austria and suffered severe brain damage. Friso remains in a near comatose state. I KNEW THERE WAS SOMETHING DIFFERENT ABOUT THE MOTHER OF THE BOSTON BOMBERS.WHEN SHE WAS SAYING TO CNN OVER THE PHONE THAT THE FBI,CIA KILLED HER ONE SON,TRYED TO KILL HER OTHER SON AND WILL TRY TO KILL HER.BUT IT WAS AFTER THIS WHAT TIPPED ME OFF BY WHAT SHE SAID.SHE SAID ALLAH AKBAR.ALLAH AKBAR AS SHE ENDED THE CNN CONVERSATIONS.EVERY TIME A ISLAMIC RADICAL KILLS SOMEONE THEY SAY ALLAH AKBAR (GOD IS GREAT) WHILE BEHEADING OR KILLING OR RIOTINNG OR WHATEVER DISPICABLE ACT THEIR DOING.SO THIS SAYING BY THE MOTHER TIPPED ME OFF SHE WAS INVOLVED IN SOMEWAY WITH RADICAL ISLAM.NOW WE FIND OUT RUSSIA TAPPED A CONVERSATION BETWEEN THE MOTHER AND OLDEST SON WERE THEY USED THE WORD JIHAD TWICE.THE MOTHER OR FATHER WON'T EVEN COME TO AMERICA NOW EITHER.OR SHE COULD BE CHARGED FOR SHOP LIFTING WITH HER IMPENDING CHARGE.ITS HEATING UP.SEE WHAT HAPPENS NEXT.BUT ISLAMIC RADICALS ARE RUNNING RAMPANT EVERYWHERE.NO MATTER HOW THE SO CALLED GENTLE MUSLIMS SAY THEY REFUTE VIOLENCE.THE KORAN TELLS US DIFFERENTLY ITSELF ,NOT ME. THAT NO MUSLIM IS PEACEFUL.WETHER THEY CLAIME IT OR NOT. Why do Muslims scream "Allahu Akhbar" while they behead someone? I've seen the beheading videos of Pearl and Johnson recently and I was wondering why they need to shout "God is great" while sawing someone's head off. Any ideas? German philosopher Jurgrn Habermas has called for EU countries to increase co-operation and the pooling of sovereignty in a speech at the Catholic university in Leuven. The 83 year old sociology professor urged member states to agree to "supernational" democracy, with current nation states giving up further powers to Brusseks. 17 Then said I unto them, Ye see the distress that we (ISRAELIS) are in, how Jerusalem lieth waste,(AD 70) and the gates thereof are burned with fire: come, and let us build up the wall of Jerusalem,(DAN 9:24-27) that we be no more a reproach. Israel is keeping a close eye on the situation in southern Israel, Prime Minister Binyamin Netanyahu said at a meeting of the Likud-Yisrael Beiteinu faction Monday. “There is an attempt to revive the wide-ranging attacks on Israel by terrorists attacking the south,” Netanyahu told MKs at the meeting. “They are attempting to reverse the quiet we attained after Operation Pillar of Defense” last November.In recent days, there has been a significant uptick in the number of missiles being fired by Gaza Arab terrorists at targets in the south. The IDF has conducted forays against terror targets in Gaza in response to the attacks, but if necessary, Israel would take more intensive action, the Prime Minister said.Israel, Netanyahu said, would take any and every step to prevent the relative quiet in southern Israel from being compromised. “We are watching the situation and are prepared for any scenario. We will not allow the safety of Israeli residents to be compromised, not in the south, and not in the north.“It must be clear to the forces in Gaza who are firing these missiles that if these attacks continue, we will take action. We will not allow these incremental missile attacks against Israel to continue. We will respond with much greater force,” Netanyahu added. The world must not ignore the warnings about Iran as it did 80 years ago with the Nazis, says Minister Yuval Steinitz. International Relations Minister Yuval Steinitz warned on Sunday that Iran having a nuclear weapon would be equal to “thirty nuclear North Koreas”.“We have the right and the ability to defend ourselves,” he said in a speech at the Jerusalem Post Conference in New York. “The cooperation with the United States is very important but ultimately each country will make its own decisions on maintaining its security,” said Steinitz, stressing that “Israel can deal with any threat.”80 years ago, said Steinitz, “only one person identified on time and warned the world against the rearmament of Nazi Germany. This was Winston Churchill, but people refused to listen. Some people even mocked him.”“We shouldn’t repeat the same mistake again,” he added, referring to Iran. “The Nazis spoke about the final solution of the Jews in Europe, and the Iranians are talking about destroying the Jewish State in the Middle East. We have to learn from history, even if it doesn’t repeat itself exactly, and if there’s a lesson to learn from history, it is not to repeat the same mistake again and not to allow, come what may, the nuclearization of Iran.”Referring to Syria, Steinitz rejected allegations that Israel asked the United States to take military action in the war torn country..“We never asked and never encouraged the U.S. to take military action in Syria,” Steinitz told the conference, referring to reports that Israel has been pressuring the Obama administration to get involved in Syria, in the wake of the use of chemical weapons by the Assad regime.“It is up to the U.S. to decide its policy on Syria,” said Steinitz. “Of course, we exchange views with the U.S. about the situation; it’s a very complex and difficult issue." He emphasized that Israel will “do its utmost to prevent delivery” of Syria’s chemical weapons stockpiles to terrorist groups such as Hizbullah. JERUSALEM (AP) — A former Israeli defense minister alleged Monday that Syria's chemical weapons are "trickling" to the Lebanese militant group Hezbollah, the first claim by a senior politician in Israel that one of the country's nightmare scenarios is coming true.Binyamin Ben-Eliezer, who also called for international intervention in the Syria's civil war to stop mass civilian deaths, did not supply any evidence for his claim. "The process of weapon transferal to Hezbollah has begun," Ben-Eliezer told The Associated Press. He refused to elaborate.Ben-Eliezer, a retired general who is now a lawmaker from the opposition Labor party, also told Israel Radio that he "has no doubt" that Syrian President Bashar Assad has already used chemical weapons and that that "these weapons are trickling to Hezbollah. "His statements do not represent an official assessment and defense officials say that, while they are concerned about Hezbollah getting chemical weapons, they are assuming it has not yet done so.Israel has repeatedly expressed concern that Syria's chemical arsenal could fall into the hands of anti-Israel militants like Lebanon's Hezbollah, an Assad ally, or an al-Qaida-linked group fighting with the rebels. Prime Minister Benjamin Netanyahu has warned that militants getting chemical arms or other sophisticated weapons is a red line that could trigger military action. Israel is widely believed to have carried out an airstrike in Syria early this year on a shipment of sophisticated anti-aircraft missiles allegedly bound for Hezbollah. Israel has all but confirmed it carried out the attack. Although Assad is a bitter enemy, Israel has been careful not to take sides in Syria's civil war, partly because the Assad family has kept the border with Israel quiet for the past 40 years and because of fears of what would happen if he is overthrown. Israeli military officials believe some Syrian opposition groups, especially those affiliated with the al-Qaida terror group, will turn their focus toward Israel once Assad is ousted. Ben-Eliezer said he is "amazed by the silence of the world" and that the international community needs to intervene to end the high civilian death toll in Syria's civil war. He said Israel should consider action if there is no international intervention. "I wouldn't rule out preparing a plan for Israel to act if the world continues to remain silent and the weapons continue to flow to Hezbollah. These are crazy people, terrorists who will not hesitate to use this tomorrow morning," he said.This week another former defense chief, Environment Minister Amir Peretz, also called for international action in Syria.Both sides in Syria's civil war accuse each other of using chemical weapons in the war, which according to the U.N. has killed more than 70,000 people.The U.S. has warned such weapons cross a red line and last week said the weapons were probably used, though it still seeks definitive proof.Last week, Brig. Gen. Itai Brun, the head of research and analysis in Israeli military intelligence, said Assad's soldiers had used chemical weapons against rebels. He said sarin, a lethal nerve agent, was probably used in one instance. He cited images of alleged victims of the attacks foaming at the mouth and displaying other apparent symptoms of chemical attacks as part of the evidence. The Israeli government convened its Security Cabinet to discuss Syria on Sunday but no details were released. DAMASCUS, Syria (AP) — Syria's prime minister escaped a brazen assassination attempt Monday when a bomb exploded near his convoy in Damascus, state media reported, in the latest attack to target a top official in President Bashar Assad's regime.Prime Minister Wael al-Halqi was not hurt in the explosion in the capital's western neighborhood of Mazzeh, state TV said. The TV showed footage of heavily damaged cars and debris in the area as firefighters fought to extinguish a large blaze set off by the blast.The state news agency said al-Halqi condemned the bombing, and quoted him as saying that the assassination attempt exposes how armed groups "are bankrupt" after the latest advances made by Syrian troops around the country.As evidence that the prime minister was unhurt, the state-run Al-Ikhbariya station said al-Halqi went into a regular weekly meeting with an economic committee straight after the bombing.The station broadcast video of the prime minister sitting around a table in a room with several other officials. But in comments after the meeting, al-Halqi made no reference to the blast, nor was he asked about it by reporters, leaving doubt as to whether the footage was filmed before or after the bombing.There were conflicting reports about casualties. The state news agency said one person was killed and several were wounded in the blast. Britain-based Syrian Observatory for Human Rights, which relies on a network of activists on the ground, said the explosion killed five, including two of al-Halqi's bodyguards and one of the drivers in his convoy.Syria's conflict started with largely peaceful anti-government protests in March 2011 but eventually turned into a civil war that has so far killed more than 70,000 people, according to the United Nations.The daring attack in the upscale neighborhood, which is home to many embassies and government officials, was another blow to the Assad regime, exposing its vulnerability in the very heart of his power base.State TV quoted Syria's Information Minister Omran al-Zoubi as saying that targeting al-Halqi, who is in charge of carrying out the political program to end Syria's crisis, shows that some in the opposition "reject a political solution. "In January, al-Halqi formed a ministerial committee to conduct dialogue with opposition groups. The dialogue is part of efforts to implement a peace plan, including a national reconciliation conference, Assad outlined in a speech earlier that month.The opposition says it will not accept anything less than Assad's departure, and progress has been made on the dialogue since it was announced.A Syrian government official told The Associated Press that an improvised explosive device was placed under a car that was parked in the area and was detonated as al-Halqi's convoy passed. The official spoke on condition of anonymity because he was not authorized to speak to the media.The attack in the highly secure Mazzeh neighborhood took place only about 100 meters (yards) from the Swiss ambassador's residence. The posh area also is home to a major military air base. Security forces sealed off the area shortly after the blast, allowing only pedestrians to get near the scene of the bombing.Damaged cars, their seats soaked with blood, were surrounded by debris. A blackened shell of a school bus was left standing. A man told state TV that none of the students on board were hurt because the explosion went off shortly after they had left the bus and headed into the school. The attack was not the first targeting a high official in the Syrian capital during the past year.On July 18, a blast at Syria's national security building in Damascus during a meeting of Cabinet ministers killed top four officials, including the defense minister and his deputy, who was Assad's brother-in-law. That attack also wounded the interior minister.In December, a car bomb targeted the Interior Ministry in Damascus, killing several people and wounding more than 20, including Interior Minister Mohammed al-Shaar. Initially, Syrian state media said al-Shaar was not hurt in the Dec. 12 blast. News of his wounds emerged a week later, after he was taken to neighboring Lebanon to be treated for a serious back injury.Earlier in April, Ali Ballan, head of public relations at the Ministry of Social Affairs and a member of Syria's relief agency, was shot dead while dining in a restaurant in Mazzeh.There was no immediate claim of responsibility for Monday's attack. Bombings like the one that struck the prime minister's convoy have been a trademark of Islamic radicals fighting in the rebel ranks, raising concerns about the extremists' role in Syria's civil war.Al-Halqi, a senior member of Assad's ruling Baath party, took office last year after his predecessor, Riad Hijab, defected to Jordan. Al-Halqi was Syria's health minister before taking the post. He hails from the southern city of Daraa, the birthplace of the Syrian uprising.Elsewhere in Syria, the Observatory reported fighting Monday near the Damascus International Airport south of the capital. The group said there were also clashes in the northern neighborhood of Barzeh and shelling of the Palestinian refugee camp of Yarmouk, south of Damacus.The Observatory and another activist group, the Local Coordination Committees, reported clashes and air raids around the military helicopter base of Mannagh near the border with Turkey in the northern province of Aleppo. On Sunday, the Aleppo Media Center said that the rebels have seized 60 percent of the Mannagh air base.Both groups also reported clashes and shelling Monday in the northwestern province of Idlib and the central region of Homs.___AP writers Barbara Surk and Bassem Mroue in Beirut contributed. DUBAI/WASHINGTON (Reuters) - Washington is signaling its military commitment to its Gulf Arab allies at a time of unfamiliar strain in their decades old partnership.Syria's civil war and Iran's nuclear program have led to tensions, with Gulf Arab states willing a more assertive U.S. response to bring Iran to heel and force Syrian President Bashar al-Assad from power. Growing U.S. energy independence has further complicated a relationship founded on oil and defense.Some Gulf Arab oil states had even begun to wonder if the alliance was anything more than the "practical marriage of convenience for a finite period of time" that Henry Kissinger, in a 2007 interview, saw in Washington's ties to Saudi Arabia.Washington is moving to dismiss such doubts, indicating its military partnership with the ruling dynasties who sit on a third of the world's conventional oil reserves will remain deep-rooted, even if trimmed by budget cuts at home. "The United States isn't going anywhere. The United States is firmly committed to the security of all our regional partners," said a senior official accompanying U.S. Defense Secretary Chuck Hagel in the Middle East last week. "We understand in a clear-eyed way what the threats are in the region. "Hagel began his week-long trip days after the Pentagon said it was finalizing a $10 billion arms deal that would strengthen the militaries of Saudi Arabia and the United Arab Emirates, as well as that of Israel.The agreement, more than a year in the making, would result in the sale of 25 F-16 Desert Falcon jets worth nearly $5 billion to the UAE. The UAE and Saudi Arabia also would be allowed to purchase weapons with so-called "stand-off" capabilities that enable them to engage the enemy with precision at a distance.A few days before the trip, President Barack Obama welcomed to the White House Crown Prince Mohammed bin Zayed of the UAE, the largest U.S. export market in the Middle East.In a joint statement they reaffirmed a shared commitment to "close defense and security cooperation, including joint training exercises, counterterrorism cooperation and the deployment of interoperable U.S. defense systems".The deal, and Sheikh Mohammed's warm U.S. welcome, are the latest in a series of signals Washington is sending to the region of its undimmed resolve to support the ruling families, partners in Washington's confrontation with Iran. The West's energy watchdog, the International Energy Agency, says it expects a continued fall in U.S. oil imports, with North America becoming a net oil exporter by around 2030 and the United States becoming almost self-sufficient in energy by 2035.Some Gulf Arabs worry that a United States self reliant in oil might show less commitment to safeguarding the Strait of Hormuz, the world's main energy artery through which 40 percent of the world's sea-borne oil exports pass.Ensuring global energy security is likely to remain an important part of U.S. strategy, said a U.S. official based in the Middle East. While U.S. purchases of Gulf Arab oil may be declining, global dependence is increasing. This fact engages American support, he said. "Since the health of the U.S. economy is closely tied to the world's, there's every reason for Washington to help protect its allies here," said Les Janka, a former White House and Pentagon official who now heads a business consultancy in Riyadh.When General Martin Dempsey, chairman of the U.S. Joint Chiefs, told the Center for Strategic and International Studies think tank on March 18 that he hoped America would achieve energy independence, he added: "But I can assure you that at least from a military perspective . . . you will find that the future will be a period of greater commitment. "Pressed to elaborate by UAE envoy Yousef Al Otaiba, Dempsey replied that that commitment should not be measured in terms of carrier battle groups but in terms of improved collaboration. "We just have to figure out how to help you do more, so that we can do less, but that doesn't mean less well. "Energy is far from the only concern. A U.S. pivot to Asia, perceptions of U.S. economic decline and U.S. military withdrawals, first from Iraq and now from Afghanistan, have blurred Gulf Arabs' security landscape.Fear of Arab Spring contagion, too, means that Gulf Arab authorities see future threats coming as much from internal sources as from the external ones that were the original premise for Western military support.Shashank Joshi of Britain's Royal United Services Institution said Gulf Arab officials appeared acutely aware the internal threat they now faced "doesn't quite yoke the Americans in the same way" the external threats once did.On Syria, Iran and Bahrain, arenas for a region-wide tussle for influence between Sunni and Shi'te powers, Washington's preference for dialogue appears weak to some Gulf Arabs. NAIROBI, Kenya (AP) — The 2011 Somali famine killed an estimated 260,000 people, half of them age 5 and under, according to a new report to be published this week that more than doubles previous death toll estimates, officials told The Associated Press.The aid community believes that tens of thousands of people died needlessly because the international community was slow to respond to early signs of approaching hunger in East Africa in late 2010 and early 2011.The toll was also exacerbated by extremist militants from al-Shabab who banned food aid deliveries to the areas of south-central Somalia that they controlled. Those same militants have also made the task of figuring out an accurate death toll extremely difficult.A Western official briefed on the new report — the most authoritative to date — told AP that it says 260,000 people died, and that half the victims were 5 and under. Two other international officials briefed on the report confirmed that the toll was in the quarter-million range. All three insisted they not be identified because they were not authorized to share the report's contents before it is officially released.The report is being made public Thursday by FEWSNET, a famine early warning system funded by the U.S. government's aid arm USAID, and by the Food Security and Nutrition Analysis Unit - Somalia, which is funded by the U.S. and Britain.A previous estimate by the U.K. government said between 50,000 and 100,000 people died in the famine. The new report used research conducted by specialists experienced in estimating death tolls in emergencies and disasters. Those researchers relied on food and mortality data compiled by the Food Security and Nutrition Analysis Unit.Because of the imprecise nature of the data available, the toll remains only an estimate.When asked about the report, Somalia Health Minister Maryan Qasim Ahmed said she didn't want to comment until she read it because of questions she had about the accuracy of the figures. Sikander Khan, the head of UNICEF in Somalia, also said he needed to look at the report's methodology before commenting specifically. But he said generally that the response to the famine was problematic because it depended on political dynamics. He said the international community needs to change the way it classifies famines. "You lose children by the time people realize it's met the established definition of famine," he said.Marthe Everard, the World Health Organization's country director for Somalia, said she has not yet seen the report but would not be surprised by such a high death toll. "The Somalis themselves were shocked about the number of women and children dying," she said, adding later: "It should give us lessons learned, but what do we do with it? How do we correct it for next time? "Much of the aid response came after pictures of weak and dying children were publicized by international media outlets around the time the U.N. declared a famine in July 2011. "By then you are too late," Everard said.A report last year by the aid groups Oxfam and Save the Children found that rich donor nations waited until the crisis was in full swing before donating a substantial amount of money. The report also said aid agencies were slow to respond.Quicker action wouldn't have prevented the deaths in areas controlled by al-Shabab. The militant group prevented many men from leaving the famine-hit region and allowed no emergency food aid in.Thousands of Somalis walked dozens or hundreds of miles to reach camps in Kenya and Ethiopia. Countless numbers of families lost children or elderly members along routes that became known as roads of death.